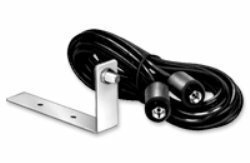 Liftmaster 86LM Remote Antenna Mounting Kit is for use with 312HM, 412HM, 422LM and 423LM when remote operation is needed. Includes bracker and 15 feet of cable. 850LM, 860LM and STAR1000 when remote operation is needed.